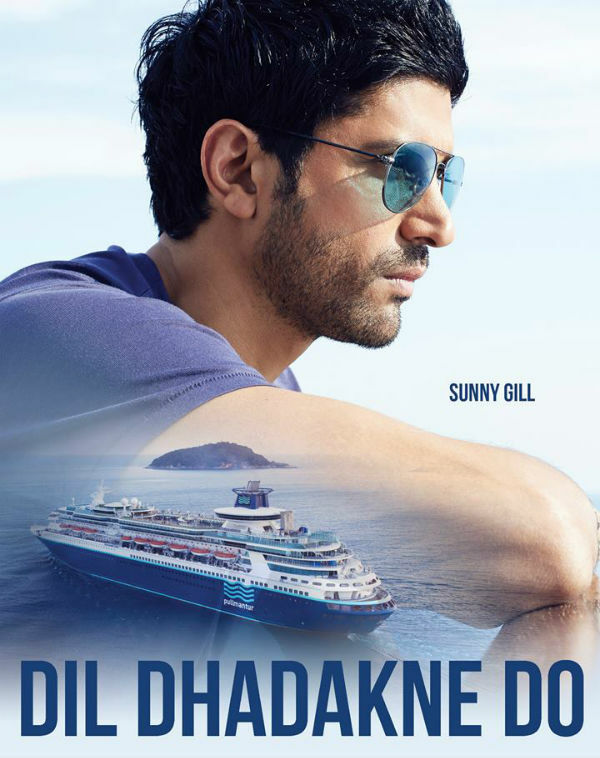 Dil Dhadakne Do is a film with a brilliantly written screenplay. Zoya Akhtar has proved yet again that writing really is in her genes. Like her previous venture Zindagi Na Milegi Dobara, this one’s all about the adventure, but unlike the previous, has flaws and the characters are not as memorable as one would expect them to be. 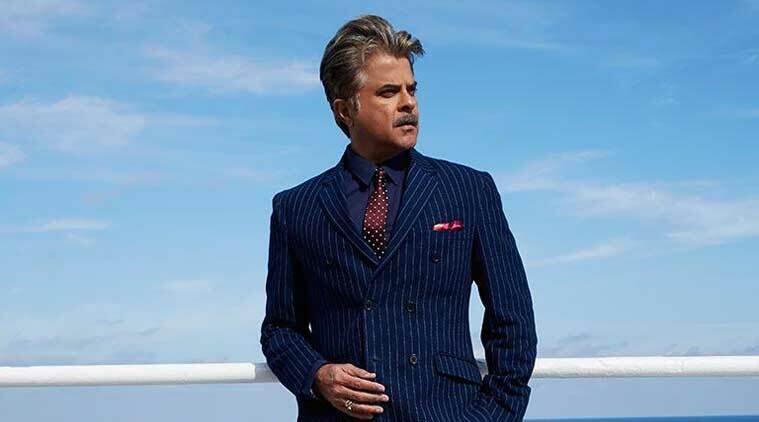 The movie starts off with a certain Kamal Mehra (a golden haired Anil Kapoor) who is a millionaire and is facing bankruptcy with his company AYKA. He’s trying his best to fix the problem, but instead ends up inviting his family and friends on a cruise for his 30th anniversary celebration. Through this mini vacation, Kamal and Neelam (Neelam is played by Shefali Shah, oh how we’ve loved her!) are trying to set their son Kabir( A clean shaved Ranveer Singh) with Noorie who is the daughter of the rich tycoon Lalit Sood. The movie sees a lot of complication and irrational family drama, like any other Bollywood movie does. Anil Kapoor being the promising actor he is, delivered his character excellently. No one could pull off Kamal Mehra as Anil did. Shefali Shah was stunning as the super elitist and classy mother and did a fine job. Ranveer was splendid, he has bounced back from his dull roles and has added the perfect elements to his role as Kabir. His chemistry with Anushka on screen has been stirring, and we wonder if Virat Kohli is jealous! Priyanka Chopra’s role as Ayesha Mehra is relatable. Apart from her outstanding acting skills, the viewers can truly feel the frustration of her character. 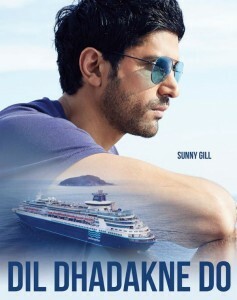 Farhan Akhtar’s cameo as Sunny Gill was pleasantly delightful to watch. Anushka Sharma was a bit disappointing with her character Farah. We wanted more! Overall, the movie is very chic and dramatic.The film deals with two loveless marriages, one faultless case of sibling bonding (that we truly enjoyed) and a host of elderly matchmakers in a manner so simplistic that left us wanting a lot more than the film had to give. The film completely belonged to Ranveer and Priyanka for being the best sibling duo we have seen onscreen. The first half of the movie was average, the dull and mediocre music didn’t do much to support the film, and the second half of the movie is stretched far too much. Dil Dhadakne Do basically dealt with rich people and their family problems and almost seemed unreal. The only character we sympathised with was Ayesha’s since she’s doing everything she can to live her life and tries to keep finding little ways to be happy even after being married to someone she is unhappy with. The movie was a very average and as a result of which, the nearly three-hour cruise trip, despite the efforts of its star cast to make things livelier with various degrees of excessive theatrical acting, seemed like an eternity. There are times where you expect things to spice up, but it only disappoints you. The Mehra’s are a typical Punjabi family and one of our favourite scenes was when Kabir opens up to his parents about them being a dysfunctional unit. Ranveer has definitely won our hearts! 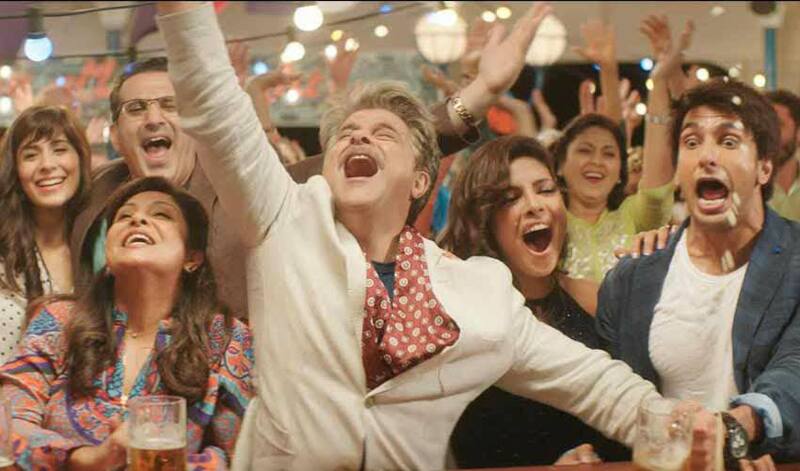 So our suggestion to you will be, watch Dil Dhadakne Do, and watch it for Anil and Shefali. Pay attention to Ranveer and Priyanka and there is a possibility that you might just enjoy it.